Just because you’re on a budget doesn’t mean you can’t enjoy the aromatics of good imported wine. Knowing your price point is the first place to begin. Consider how much your budget allows for wine, no matter if it’s for a special occasion or if it’s part of your weekly grocery budget. 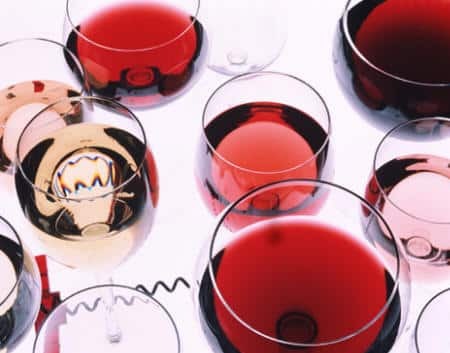 Wine Connoisseur Ted Onulak says, “Choosing a great, inexpensive wine can be as easy as asking a competent wine salesperson for his or her recommendation.” This is good advice. The right salespersons will help you locate a great cheap wine within your price point, and they’ll be able to recommend wines which actually taste good. Wines range in taste and aromas. Some go great with certain types of meats, other cheeses, then you have those that go well with desserts. Each of these listed wines range from $10.00 to $7.00 so you wont be headed to the poor house should you choose to purchase any of these wines. Knowing the type of wine you like and what it pairs with will give your wine salesperson a clue as to what to look for within your budget, so know your wines if you want the smoothest and biggest flavors for your buck. Remember when you’re shopping for a value wine, don’t settle for a bottle of red, white, or blush just because your budget is small. Those Rieslings, Merlots, and Shiraz’s can compliment your budget in taste, if you’re willing to search and ask questions about what to pair them with. Ask about their flavors, smell their aromas, sample if you can. Hey it might be less than $10.00, yet you still don’t want to throw that $10.00 down the drain. So go ahead, enjoy those occasions you celebrate with a wine. Serve a wine with dinner or have a glass before bed. You’re a smart shopper, you’ve done your research. You know that your wine is going to taste good on the tongue and it’s going to be great on the budget.